This looks a really nice example of one of these extremely popular family yachts. With only 2 owners from new, she appears to have been well looked after and is very, very well equipped - she hasn't been sailed much recently, so consumables such as running rigging, spray hood, etc have taken on that unused look. Recently placed ashore, for easy inspection, she's been anti fouled and polished and the interior seems clean and dry - the upper deck and consumables mentioned above will benefit from light attention. 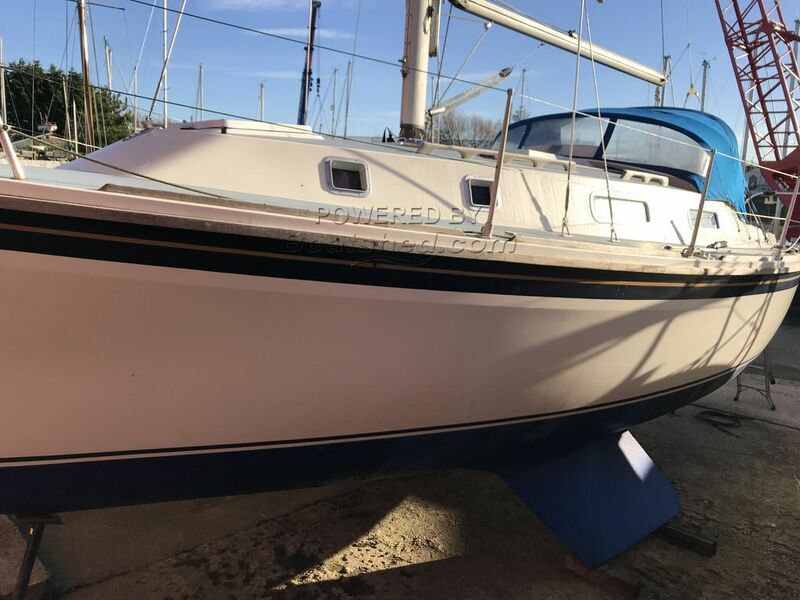 If you're after a nice looking yacht, that seems in good order, for a weekend or longer, for a couple or family, then this is a boat that we'd recommend looking at in person. This Westerly Konsort 29 has been personally photographed and viewed by Tim Kingston of Boatshed Brighton. Click here for contact details.